5 Great Vintage Glamour Speed Builds! 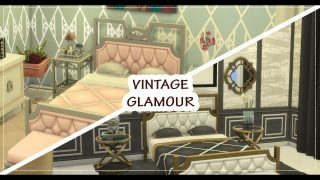 We love seeing all of your awesome creations when we release a new pack, and The Sims 4 Vintage Glamour Stuff was no exception! It’s been great seeing all of your amazing creative ideas you get from The Sims 4, and your screenshots and videos (keep ‘em coming!). 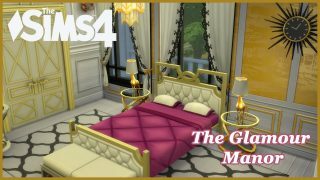 So once again, we wanted to share a few really fantastic ones we found that focus on The Sims 4 Vintage Glamour Stuff! We’re going to need a minute to just pick our jaws up from the floor here. Wow. James always blows us away with his builds, and this one is definitely another hit! The concept of taking a factory and converting it to a styled home is really fun way to change up your usual style, and this is a great example. We really love his use of objects to make it feel like an authentic factory, too. 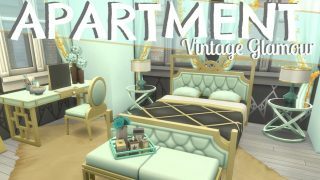 Vintage Glamour Stuff is a great pack for strong monochromatic looks, but it has a lot of other great color combinations on offer too, and Krystin really nails a fresh option with this apartment build. The mint and gold look gorgeous together, and using it as a theme through the whole apartment gives a really coherent flowing feel. We love it! A whole Manor full of Glamour? Count us in! 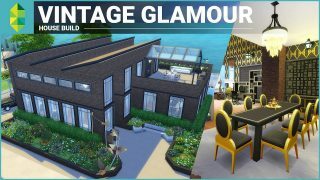 This is a really great full house build, getting lots of use out of all of the Vintage Glamour Stuff items. The metallic effect wallpapers really pop here too, with the bigger walls giving even more shine! We really love this monochromatic apartment, it really makes the most of the black and white color scheme by adding little pops of color here and there to give contrast. There’s also a bonus Create a Sim bit at the end of this video, yay! Don’t forget to take a look at her Remodel Challenge too, it looks awesome. 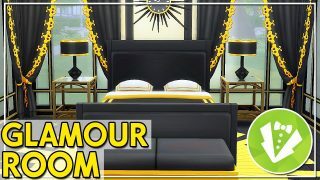 This build is pretty fantastic as it only uses items from The Sims 4 base game and Vintage Glamour Stuff, so if you don’t have many other packs you’ll still be able to use this build and not have any incomplete rooms! It also looks totally amazing. The big open window area for the vanity table is a really excellent idea, we love it! As always, we wish we could include so many more but we have to keep it to just a few for a blog - so if you or your fave creator aren’t featured this time, we’re sorry! Make sure you keep showing us all of your great creations with us on Twitter, Facebook, Tumblr & Instagram, and maybe next time we’ll feature YOU!